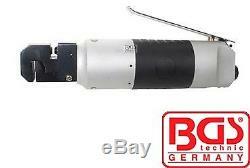 BGS technic Germany Air Edge Setter Hole Pneumatic Punch Pliers 1/4Air 1/4inch Trade Quality Tool! Punch pliers length 245 mm - punch Ø 5 mm - punches up to 1.5 mm steel thickness! - also suitable for stainless sheets - air consumption 113 l/min. Proper Garage Set, Super Heavy Duty, Will Suite Car/Truck Repaire Shop. Anything less is a compromise! When only the best will do! Unsatisfied in any way, we have 100% good feedback and would like to keep it that way! All our products are manufactured to match or exeede DIN standards, we stand 100% behind every. Please ask prior to sale. 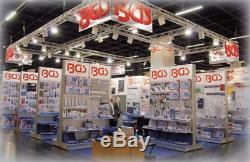 The item "BGS Germany Air Edge Setter Hole Pneumatic Punch Pliers 1/4Air 1/4inch Quality" is in sale since Wednesday, January 26, 2011. 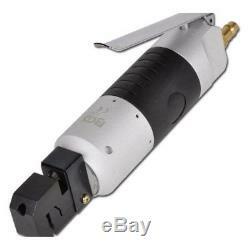 This item is in the category "Vehicle Parts & Accessories\Automotive Tools & Supplies\Air Tools\Other Automotive Air Tools". The seller is "bgstoolsaustralia" and is located in New South Wales. This item can be shipped worldwide.